Maintaining your Twin Disc engine requires regular time and effort, but this task also requires you to have access to the right parts to get the job done correctly. You may be searching for the right components for your engine repair and maintenance needs, but you may also be focused on finding high-quality parts at a great price. 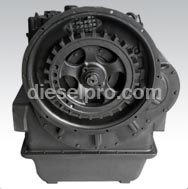 When you are in the market to purchase new Twin Disc replacement parts for any type of maintenance or repair work that you have planned, Diesel Pro Power is the online retailer to turn to. We have the Twin Disc MG5114C marine transmissions parts that you are looking for in stock and available to send to you without delay. There are numerous challenges associated with shopping for your Twin Disc replacement parts, including finding what you need in stock. Some local stores may offer engine parts for sale, but they may not have what you need in stock. 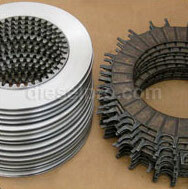 Diesel Pro Power is the world's largest online provider of these engine parts. This means that you can find an excellent range of products for the Twin Disc MG5114C and other engine components in stock and ready to purchase. This includes parts like gaskets, seals and other items that you may need to find before you can complete the work you have planned for your engine. 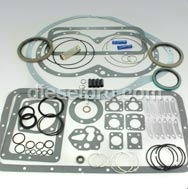 Take a few minutes to locate the replacement parts you need through Diesel Pro Power. 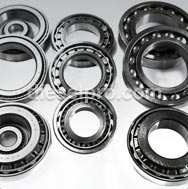 This is the fastest way to shop for engine parts, and you can rest assured that your order will arrive soon. We process orders within 24 hours and can ship to locations around the world. Through Diesel Pro Power, you can get all of the parts you need now.